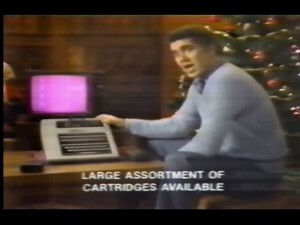 For a generation of children, the most exciting part of a Christmas morning was discovering a large box under the tree, ripping it apart, and looking at an exciting, colorful box promising endless video games. At home! Right in your living room! The expansion of videogames from arcades, boardwalks and carnivals into the home was a vanguard mounted by companies with names like Coleco, Atari, Magnavox and Odyssey. For hundreds of dollars, you could play as many games as you wanted, for as long as you wanted, on the same TV you watched shows on. The change from the fireplace to television as center of home and hearth began in the 1950s and the home video game sped this process up considerably. Naturally, these home video games, running on underpowered hardware and not-made-for-the-purpose video screens, were scant competition in the graphics and experience department compared to arcade games. But as they improved, consoles and computer gaming dented and some would argue destroyed arcades as a nationwide phenomenon. Only a small percentage of arcades now exist compared to their peak. Sadly, the days of the home videogame console being a present under a tree followed by days of indulgent game-playing are not the same, replaced with massive launch events and overnight big-box store stays. 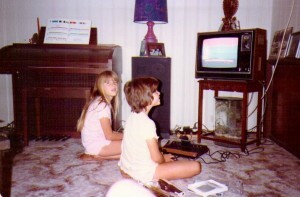 In an expansion of the Historical Software Collection, the Internet Archive has opened the Console Living Room, a collection of console video games from the 1970s and 1980s. Like the Historical Software collection, the Console Living Room is in beta – the ability to interact with software in near-instantaneous real-time comes with the occasional bumps and bruises. An army of volunteer elves are updating information about each of the hundreds of game cartridges now available, and will be improving them across the next few days. Sound is still not enabled, but is coming soon. Faster, more modern machines and up-to-date browsers work best with the JSMESS emulator. The Atari 2600 is a video game console released in September 1977 by Atari, Inc. It is credited with popularizing the use of microprocessor-based hardware and ROM cartridges containing game code, a format first used with the Fairchild Channel F, instead of having non-microprocessor dedicated hardware with all games built in. The Atari 7800 ProSystem, or simply the Atari 7800, is a video game console officially released by Atari Corporation in January 1986. The 1986 launch is sometimes referred to as a “re-release” or “relaunch” because the Atari 7800 had originally been announced in May 1984, to replace Atari Inc.’s Atari 5200, but a general release was shelved due to the sale of the company. In January 1986, the 7800 was relaunched and would compete that year with the Nintendo Entertainment System and the Sega Master System. It had simple digital joysticks and was almost fully backward-compatible with the Atari 2600, the first console to have backward compatibility without the use of additional modules. It was considered affordable at a price of US$140. The ColecoVision is Coleco Industries’ second generation home video game console, which was released in August 1982. The ColecoVision offered near-arcade-quality graphics and gaming style along with the means to expand the system’s basic hardware. Released with a catalog of 12 launch titles, with an additional 10 games announced for 1982, approximately 145 titles in total were published as ROM cartridges for the system between 1982 and 1984. 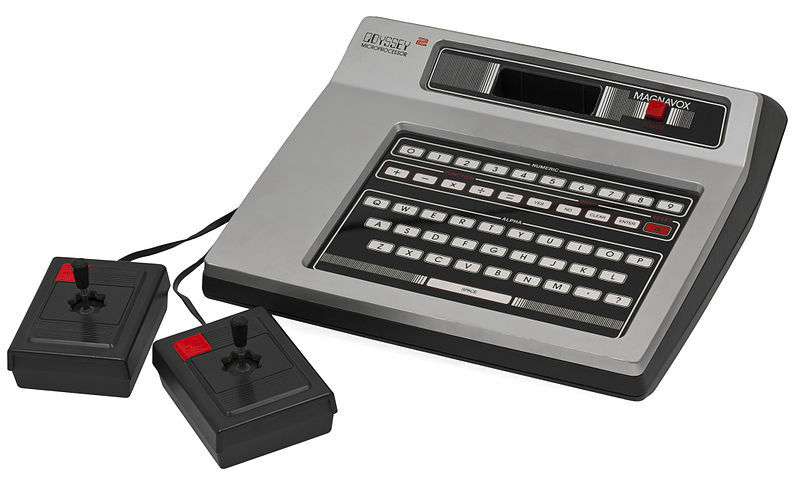 The Magnavox Odyssey², known in Europe as the Philips Videopac G7000, in Brazil as the Philips Odyssey, in the United States as the Magnavox Odyssey² and the Philips Odyssey², and also by many other names, is a video game console released in 1978. In the early 1970s, Magnavox was an innovator in the home video game industry. They succeeded in bringing the first home video game system to market, the Odyssey, which was quickly followed by a number of later models, each with a few technological improvements (Magnavox Odyssey Series). In 1978, Magnavox, now a subsidiary of North American Philips, released the Odyssey², its new second-generation video game console. The Astrocade is a second generation video game console and simple computer system designed by a team at Midway, the videogame division of Bally. 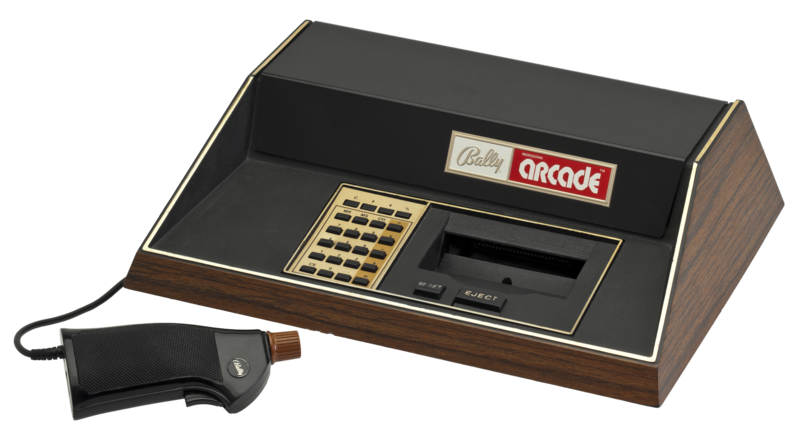 It was marketed only for a limited time before Bally decided to exit the market. The rights were later picked up by a third-party company, who re-released it and sold it until around 1983. The Astrocade is particularly notable for its very powerful graphics capabilities for the time of release, and for the difficulty in accessing those capabilities. Access drives preservation – making these vintage games available to the world, instantly, allows for commentary, education, enjoyment and memory for the history they are a part of. In coming months, the playable software collection will expand greatly. Until then, game on! Great stuff! I just took it for a test drive and played Spy Hunter from 1984. Just like I remembered it! Magic! Anche noi vorremmo raccogliere i videogiochi del passato e proporli online ma con i diritti non riusciamo a capire come e a chi dovremmo chiedere? I can’t wait to explore this. Of course, I’m still hoping for an online Vectrex and Atari Lynx emulator! My son, aged 27, wants to play Bond games on the Nintendo 64. I threw the games out when the console broke. I bought the console for my sons 6th birthday and while we were playing Mario Brothers his younger brother snuck down stairs and ate the whole birthday cake. I have the Man Hole game in its caddy, for protection. It was the first game for the PC, made before sound and movement were combined on disk. Its a museum piece. I saved it; because, its a piece of PC history. If you have a place for it let me know. Had an Atari 2600 as a kid. Later moved to NES and then PC. Pingback: Noticias ¡Al Instante!Internet Archive anuncia que comenzó a respaldar videojuegos de viejas consolas - Noticias ¡Al Instante!